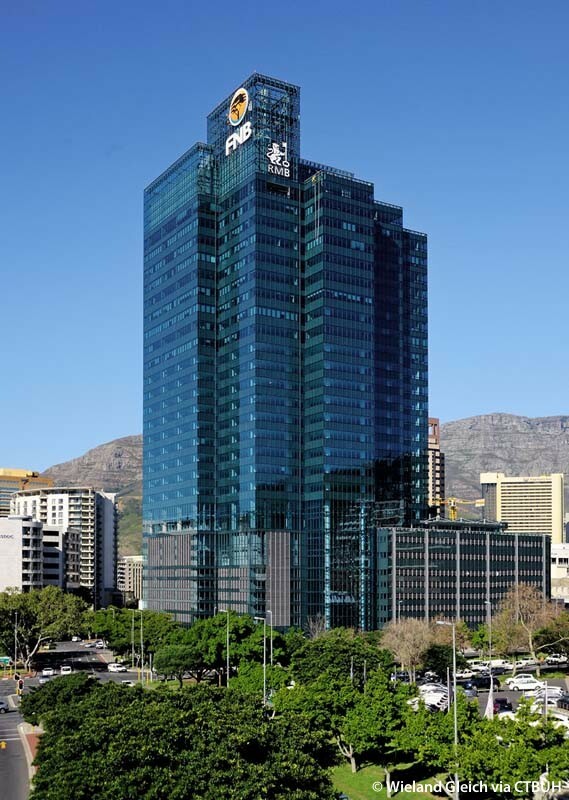 Portside is the first high-rise to ascend in Cape Town for more than two decades, and is now its tallest. 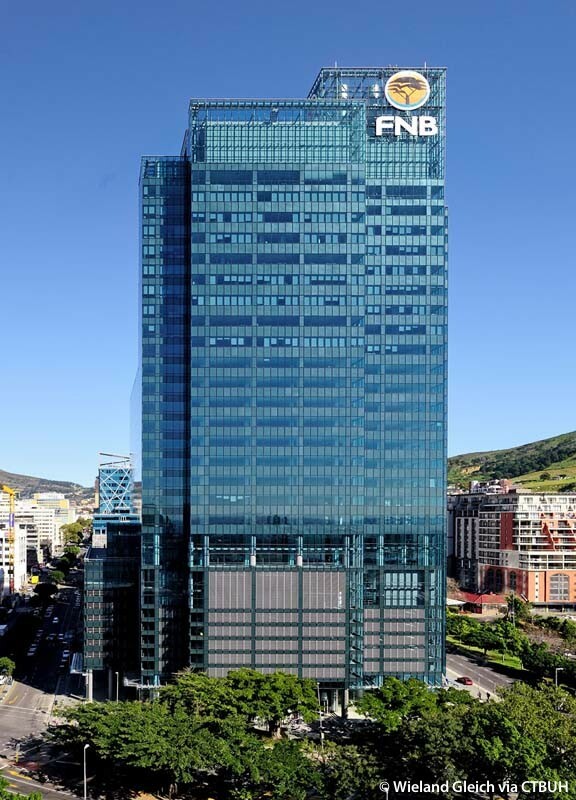 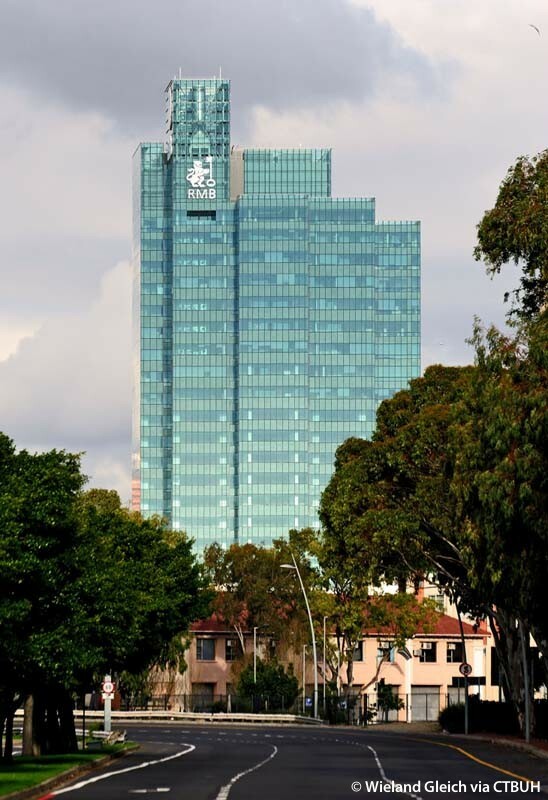 The banking headquarters building is becoming a landmark in the emerging financial district of Cape Town, capitalizing on the magnificent panoramas of Table Mountain and the Atlantic Ocean. 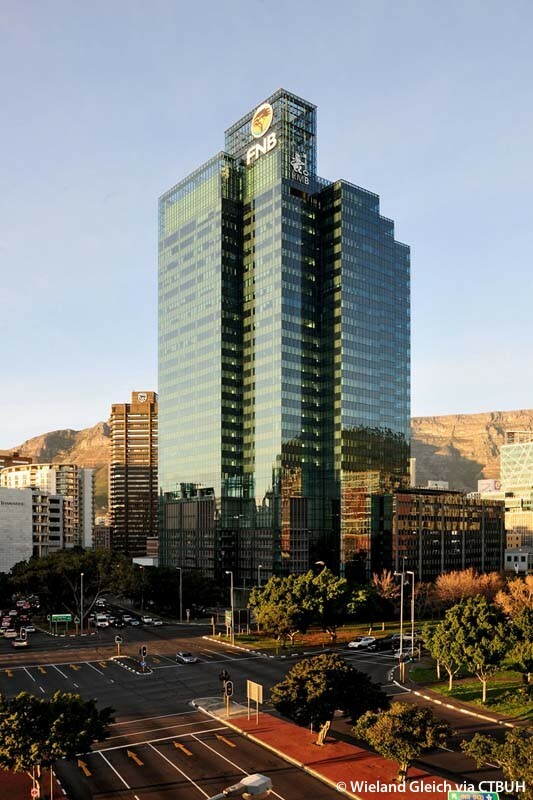 The building is about 10 meters shorter than the permitted height, so as to limit visual impact in relation to the larger urban and geographical context of the city and Table Mountain. 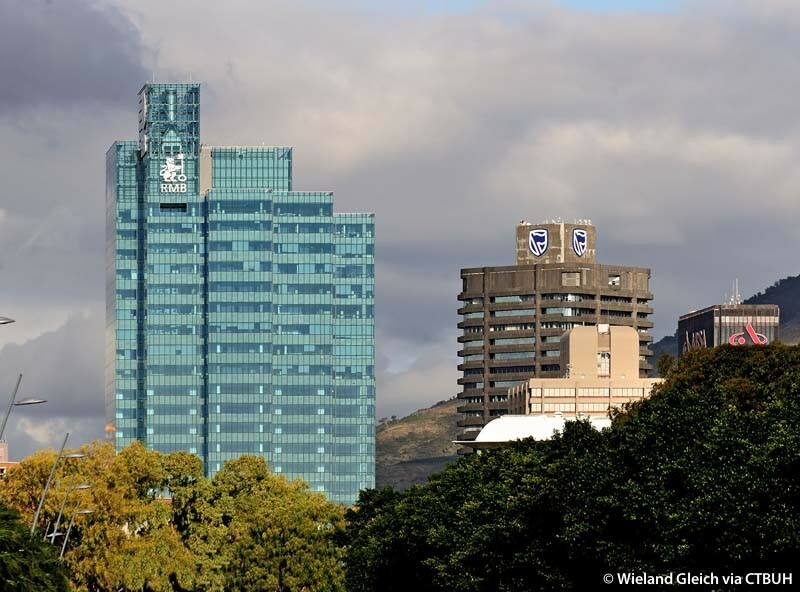 The architectural quality and material selection were crucial in terms of mediating Portside’s relationship to the public realm. 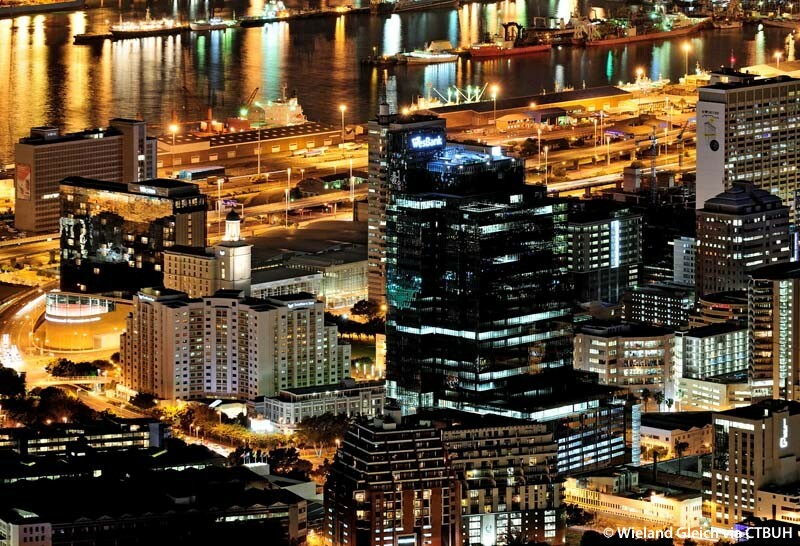 Street level activation, appropriate scale, legibility and permeability were the main vehicles for addressing social context and urban regeneration. 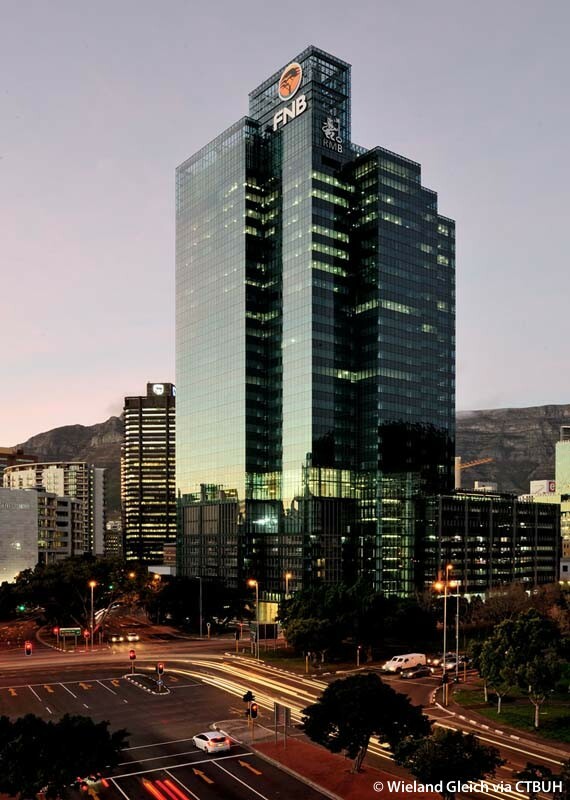 The use of LED lighting, storm water recapture, low-embodied-energy materials, and the provision of individually marked, removable and recyclable unitized façade panels earned Portside a 5 Green Star Design rating, the first tall building in South Africa to do so.